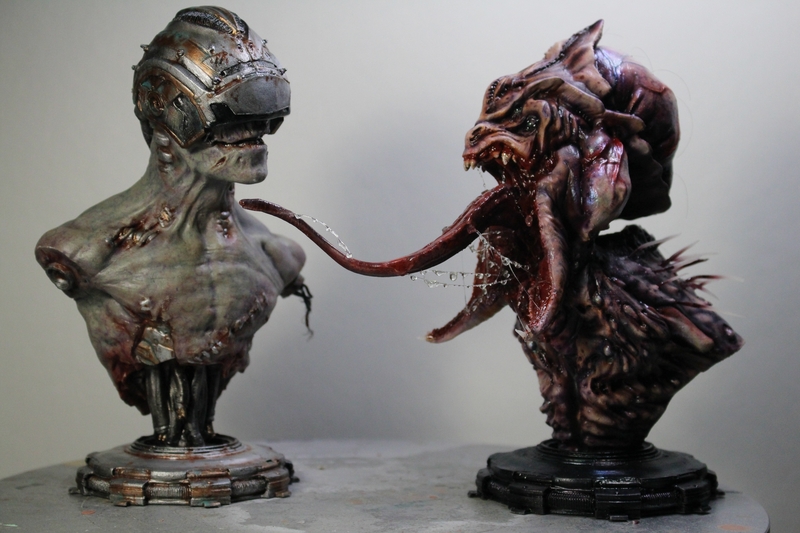 Hi everybody!! 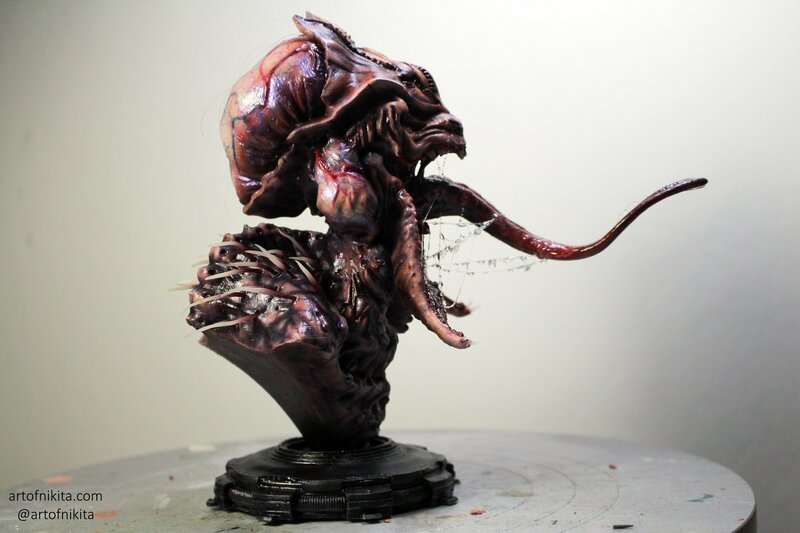 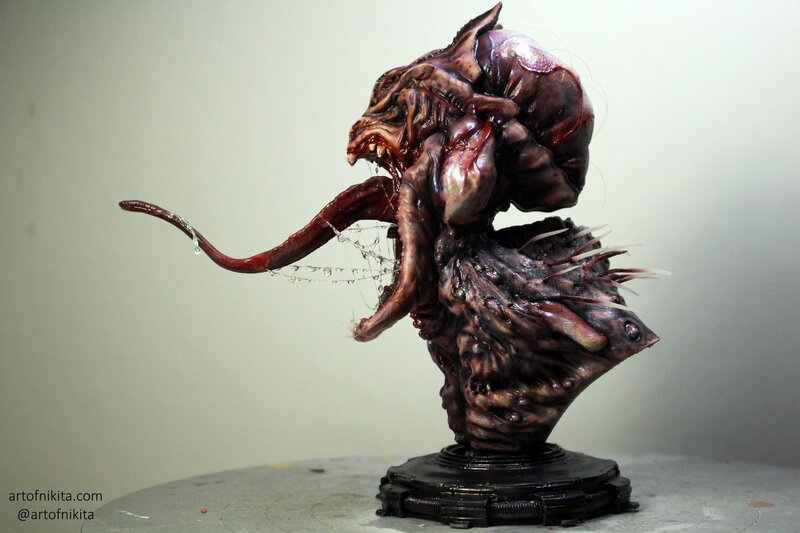 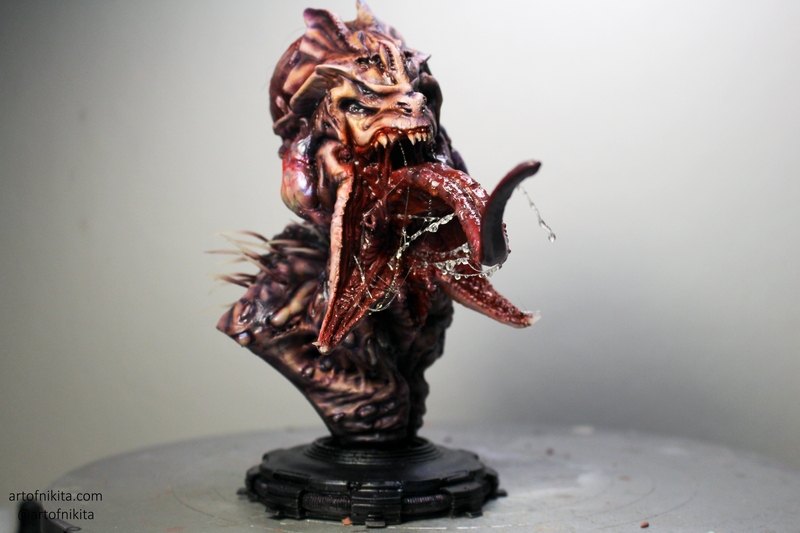 My second entry Alien Spitter bust I created using Zbrush, 3d printed on Zortrax M200, painted with airbrush and acrylics. 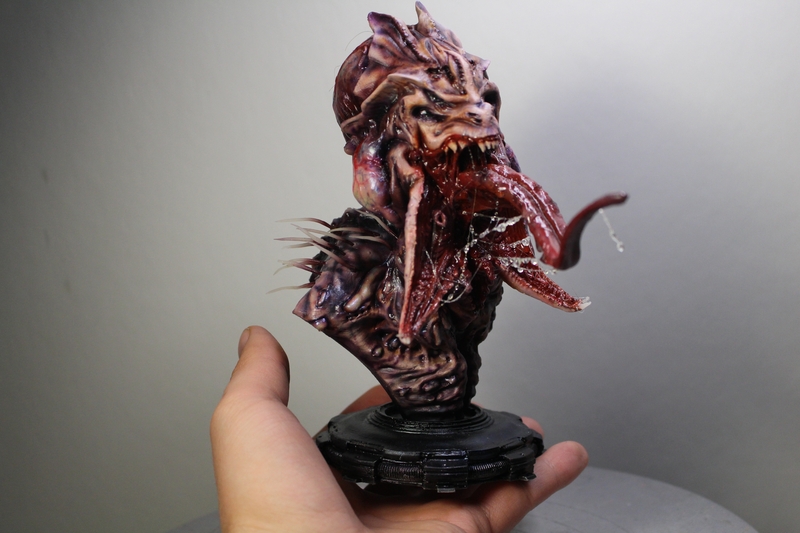 Saliva is made out of fishing line and 5 minute epoxy; spikes and some teeth are made with Sculpey. 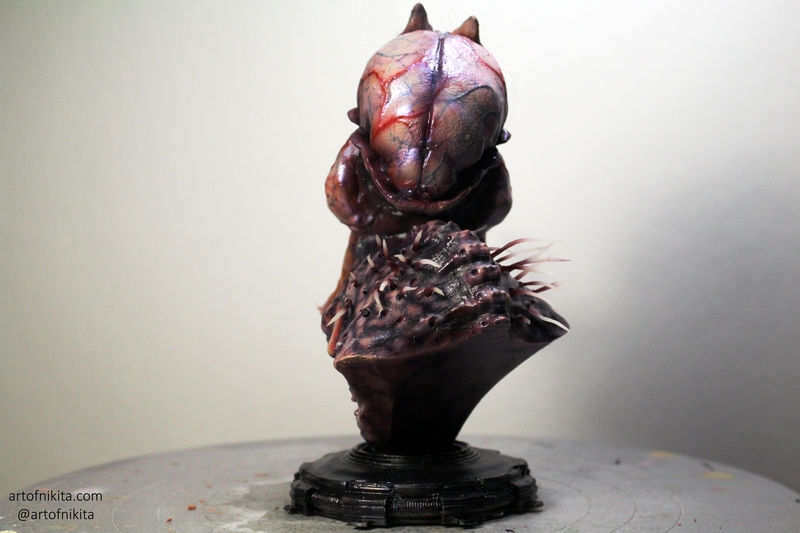 It's about 8 inches tall.